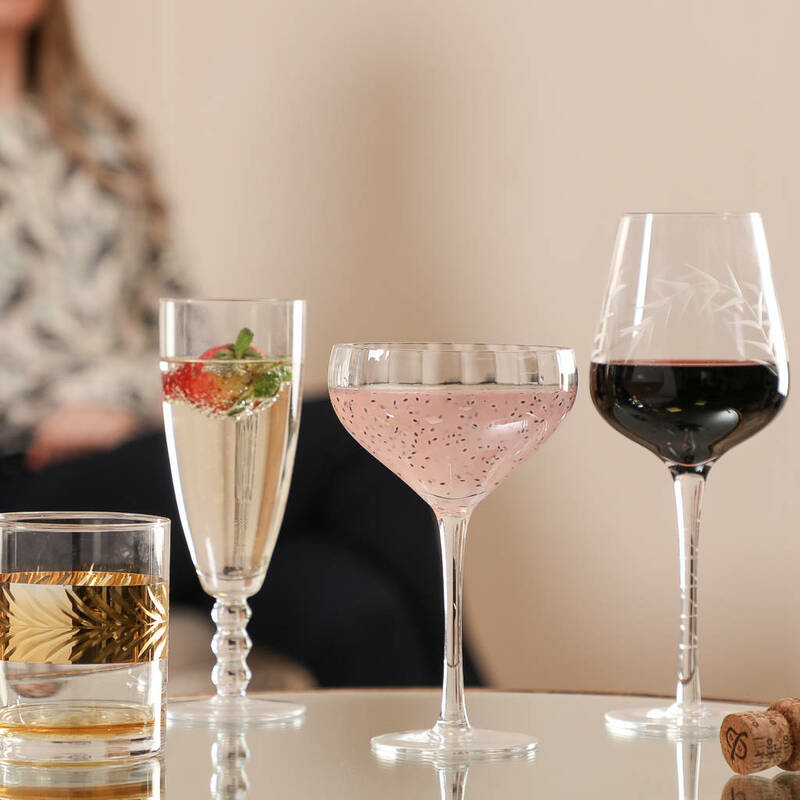 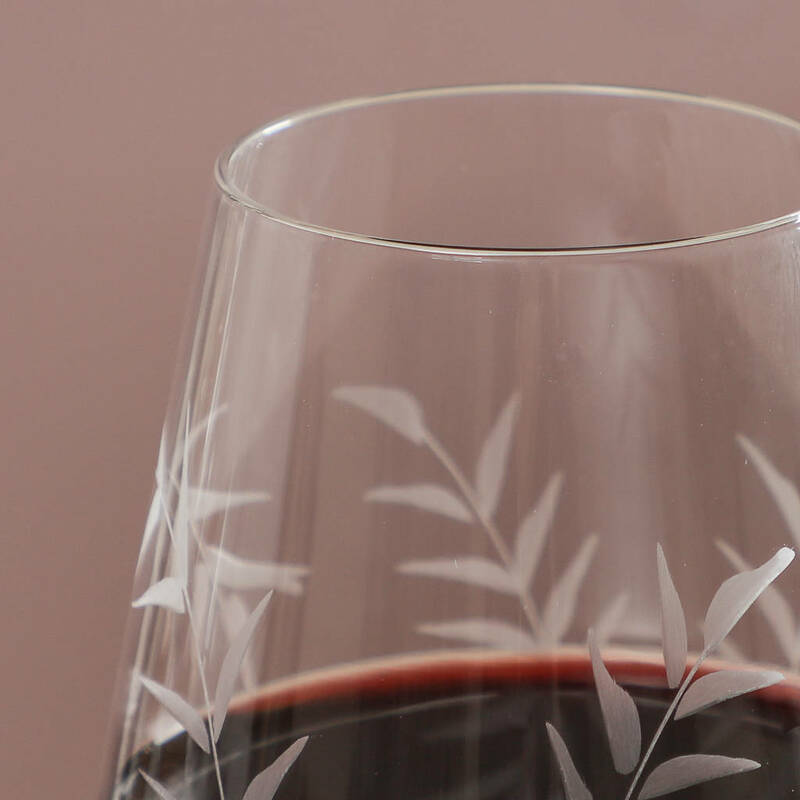 An eclectic collection of four contemporary glasses for wine, Champagne and more that are perfect for Mum to relax with her friends. 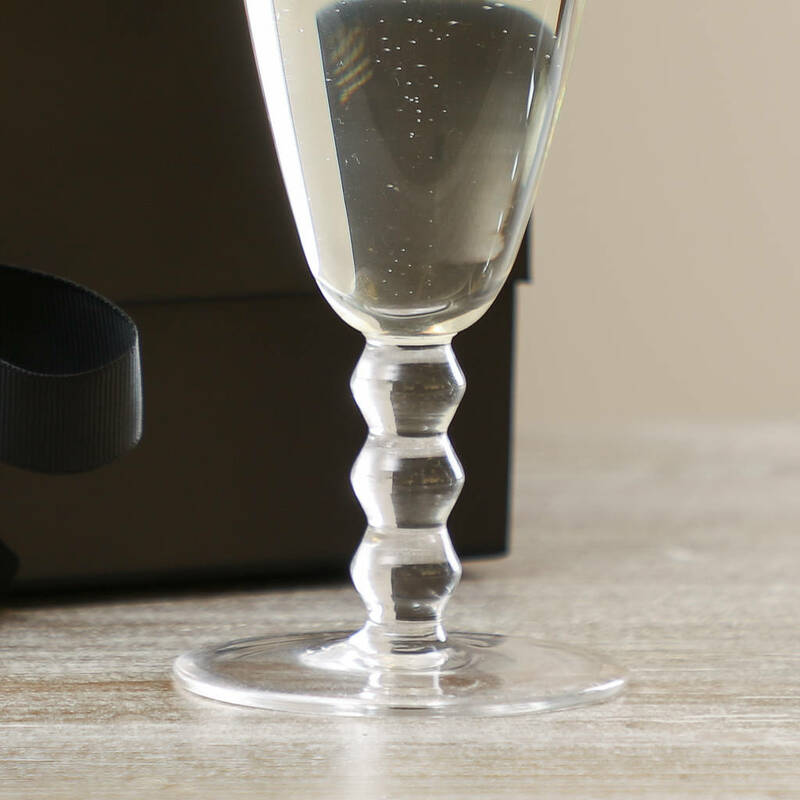 This stylish barware set includes something for all the girls to enjoy a fun night in. 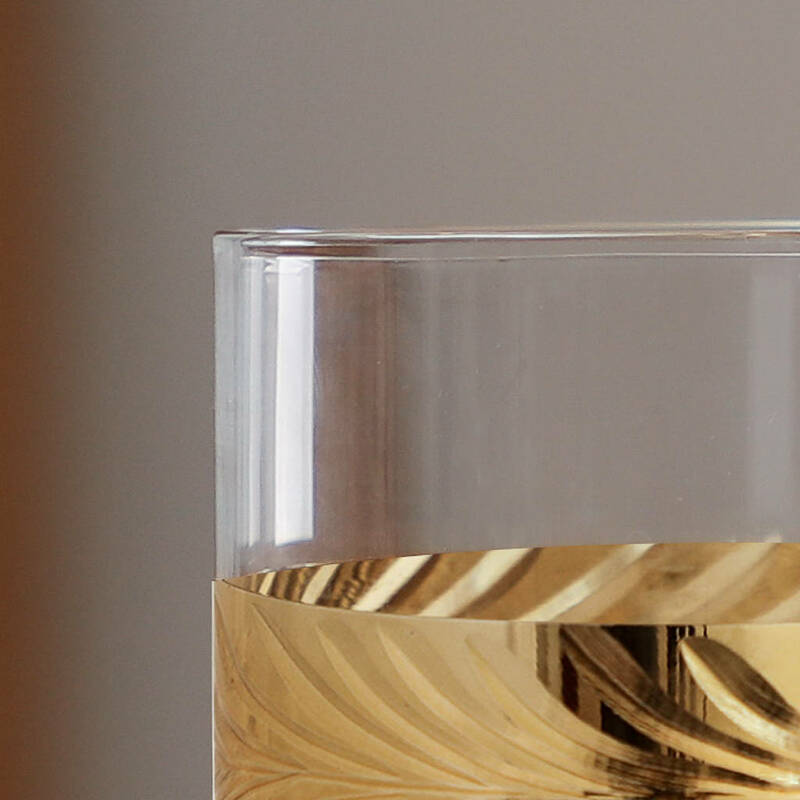 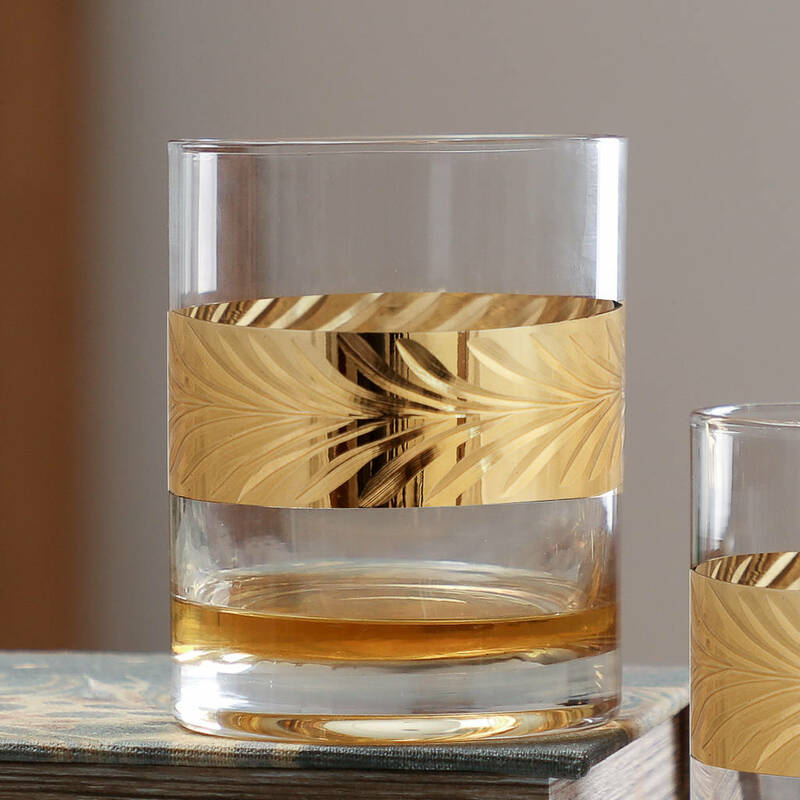 Consisting of a gold leaf etched whisky tumbler, beaded stem Champagne flute, scalloped coupe saucer and botanical wine glass, the contrasting designs are full of character. 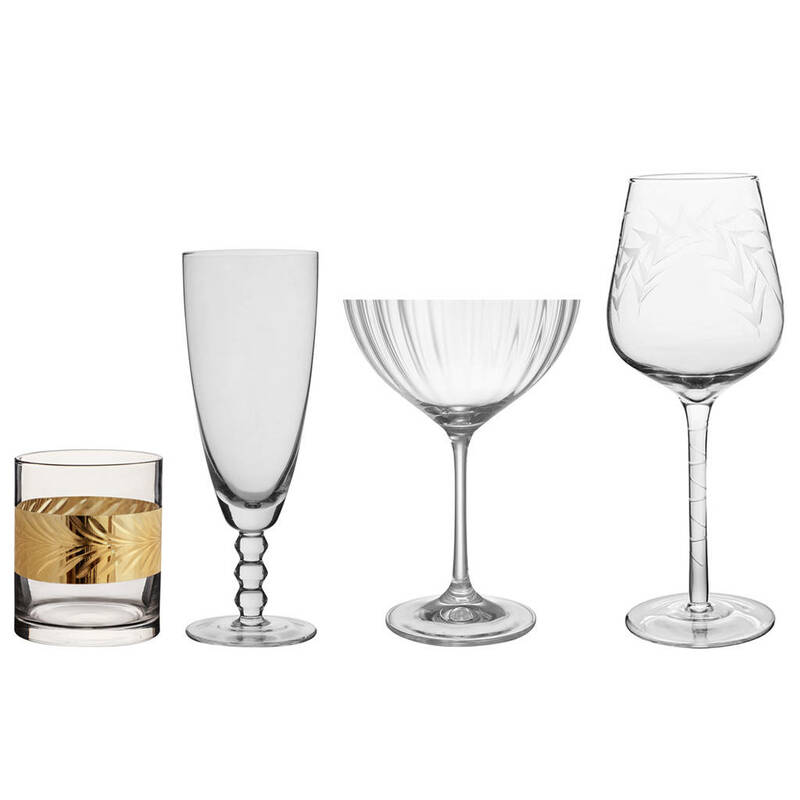 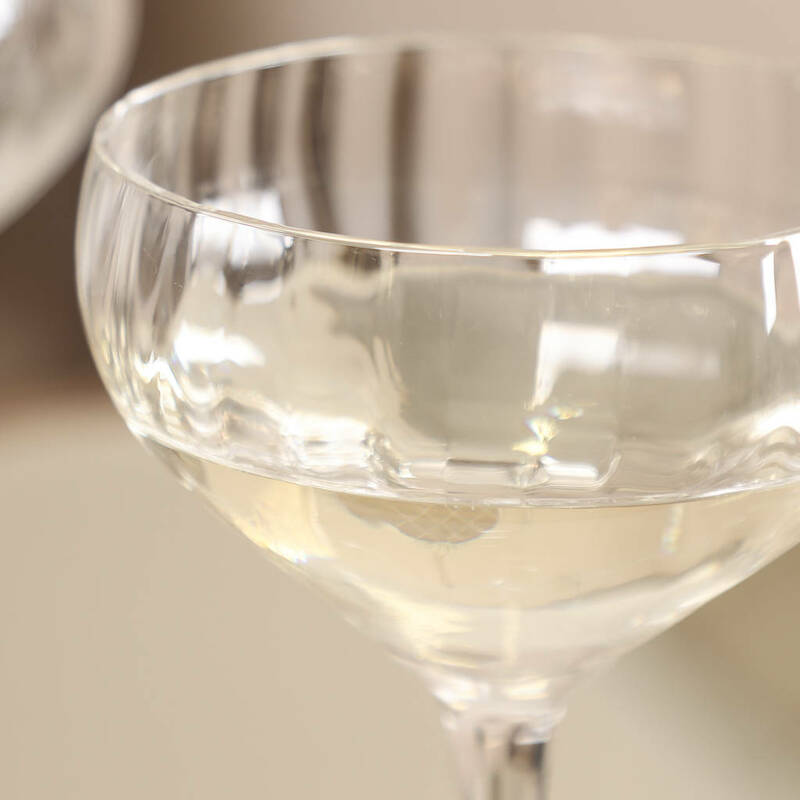 Whether making cocktails, or relaxing with a glass of bubbly, this luxury glass set will help you do it in style. 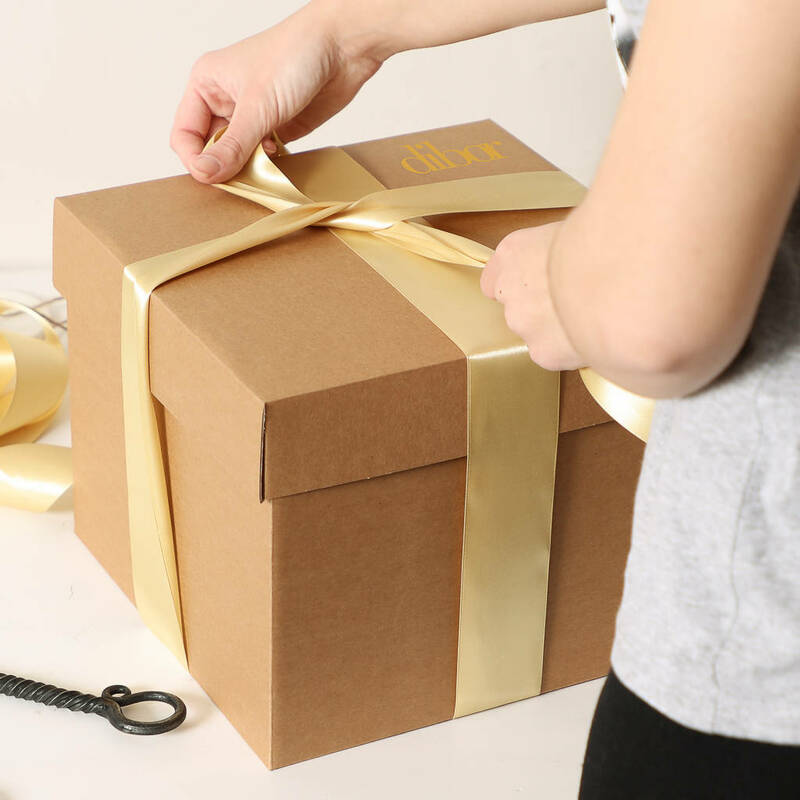 Delivered in a natural cardboard gift box for a finishing touch that’s kind to the planet. 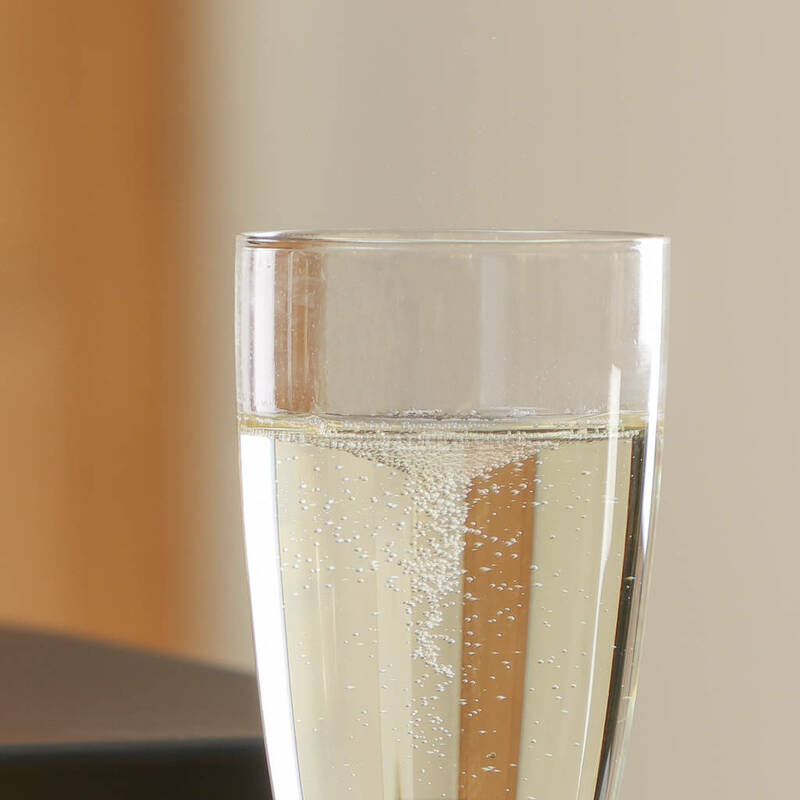 Complete with gold ribbon trim and the Dibor logo on the lid. 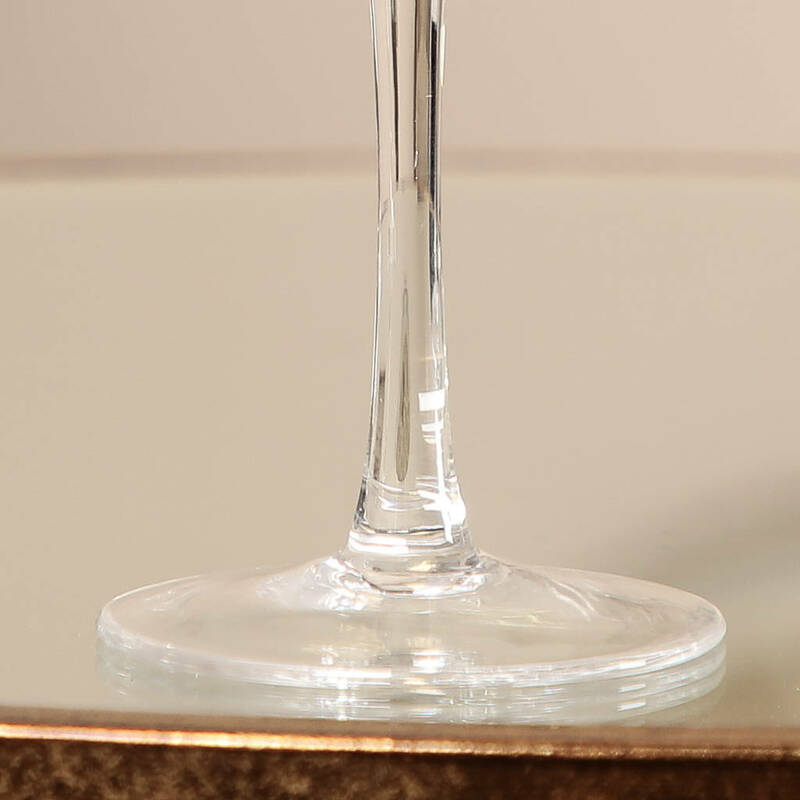 Each item in this collection is crafted to the highest standard from superior quality glass for a stunning result. 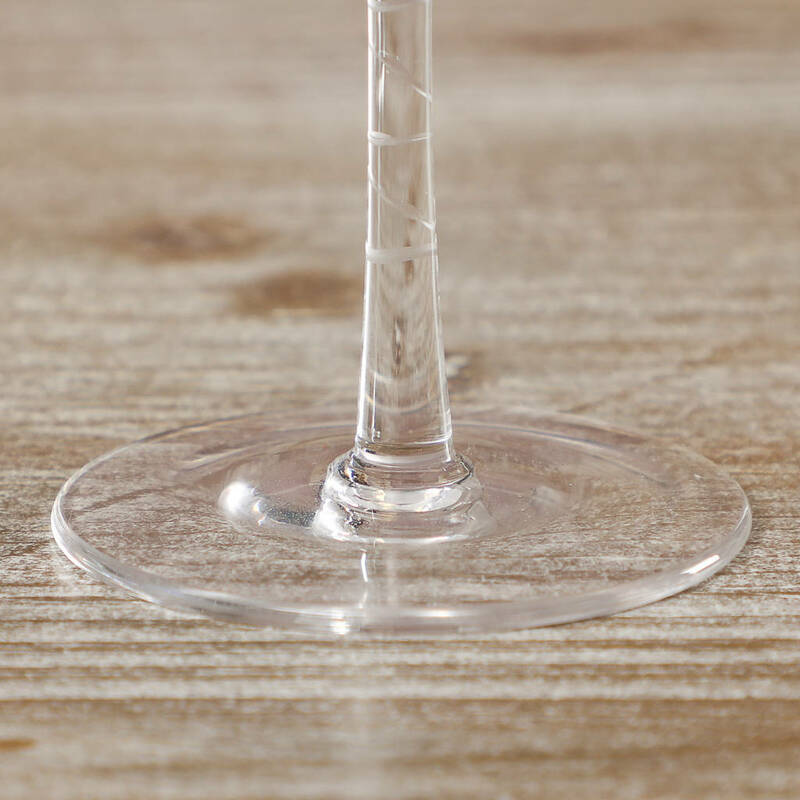 Please note these glasses are hand wash only.